102 min., not rated (equivalent of a PG-13). 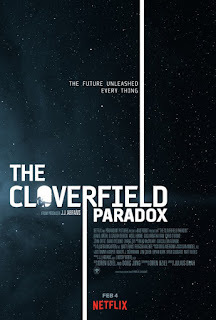 Instantly available to watch after this year’s Super Bowl game, “The Cloverfield” Paradox” surreptitiously arrived on the scene with down-low marketing and even faster turnaround from advertisement to release than its precursors, 2008’s found-footage monster movie “Cloverfield” and 2016’s bunker-set thriller “10 Cloverfield Lane.” As a stealth companion piece, it intrigues fans of those aforementioned films—props to the marketing—but the final result is nothing short of a letdown. Director Julius Onah’s effort is technically meritable, and the exceptional cast cannot be blamed, but everything that works is rendered empty when it’s in the service of a severely underwhelming muddle. Energy is depleting on Planet Earth in 2028. In space, the Cloverfield Station is preparing the Shepard particle accelerator to help provide the planet with infinite energy. Among the crew is civilian coordinator Ava Hamilton (Gugu Mbatha-Raw), who has left her husband on Earth since the loss of their two children. 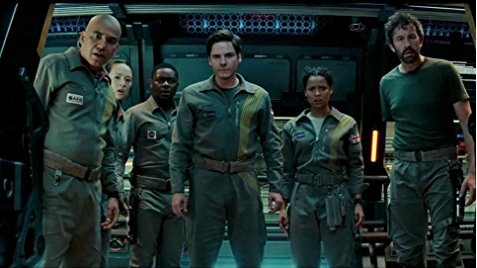 As the crew experiences a power surge and tries repairing their navigation, strange occurrences begin to alter their mission. 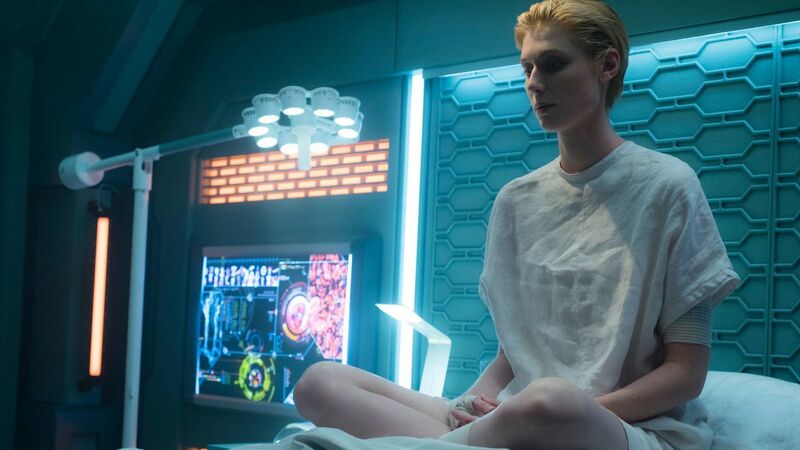 They find a mysterious woman, Jensen (Elizabeth Debicki), who claims to be a crew member when she finally comes to; one of them feels something crawling underneath their skin; and someone's arm vanishes through a wall. 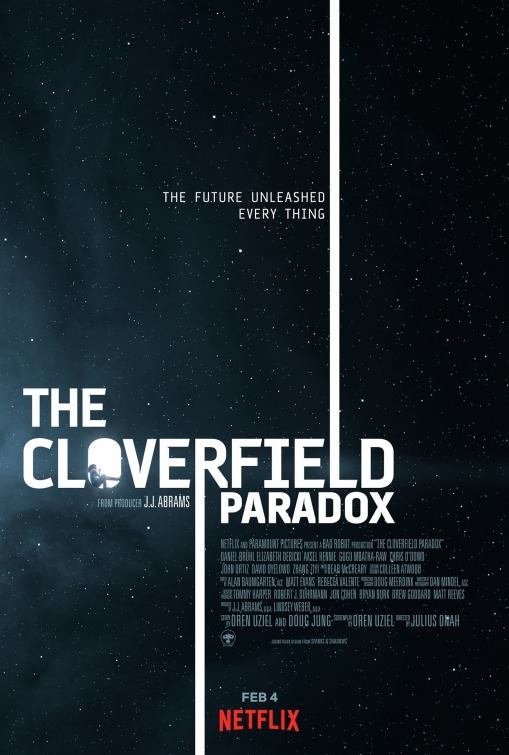 Has the Cloverfield crew opened a portal into a parallel universe that will threaten Earth? 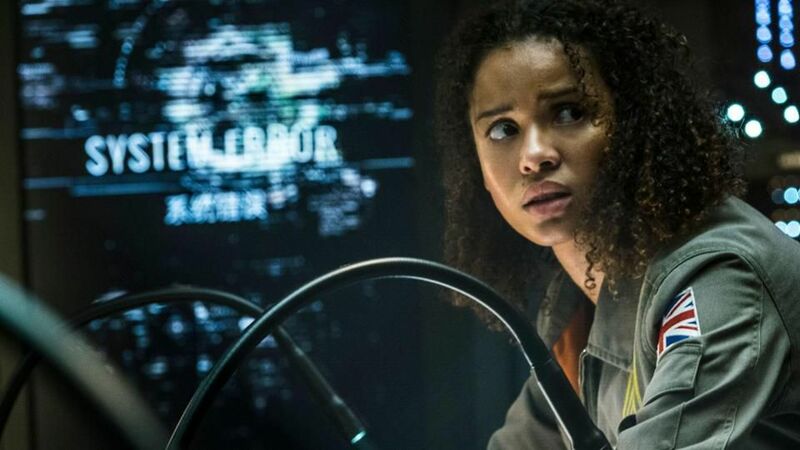 Alternate dimensions aside, “The Cloverfield Paradox” recalls “Alien” and even 2017’s “Life” in terms of a mounting body count in space, and along the lines of those vastly superior films, this one does offer a few effective body-horror moments. There is also a level of paranoia that comes into play and a thrilling brawl between two of the surviving crew members, but otherwise, there’s a lot of head-scratching here. The film mostly coasts on the cast (including David Oyelowo, Daniel Brühl, John Ortiz, Zhang Ziyi) rather than how the characters are written, all of them wafer-thin, in the screenplay by writer Oren Uziel (2014’s “22 Jump Street”). Gugu Mbatha-Raw is the film’s emotional center, and Chris O’Dowd offers a welcome sense of comic relief as Irish engineer Mundy without completely existing in a different movie. 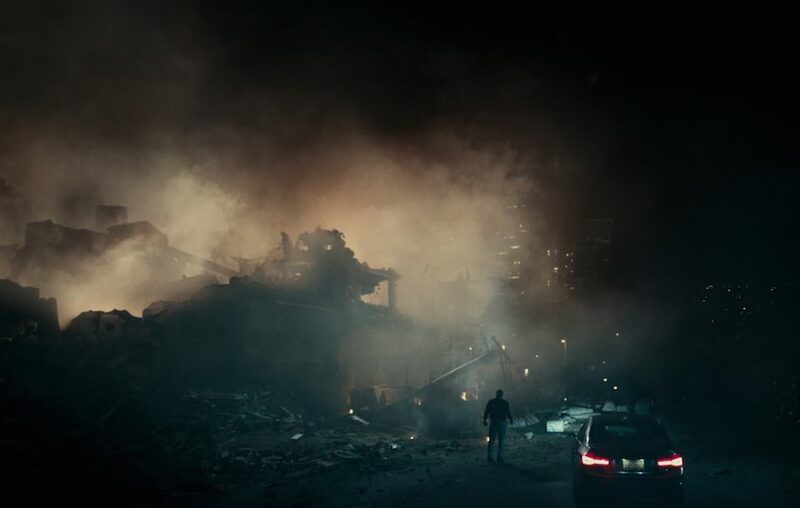 As a self-contained film, “The Cloverfield Paradox” is a competently made space-age thriller, but with its connectivity to a “Cloverfield” film universe, there are too many paradoxes of its own in terms of its timeline to advance the world-building, and the final shot is more dutiful and tacked-on than satisfying. Never really scratching the itch that “Cloverfield” fans will crave, this entry is a deflating non-event that leads nowhere of note.